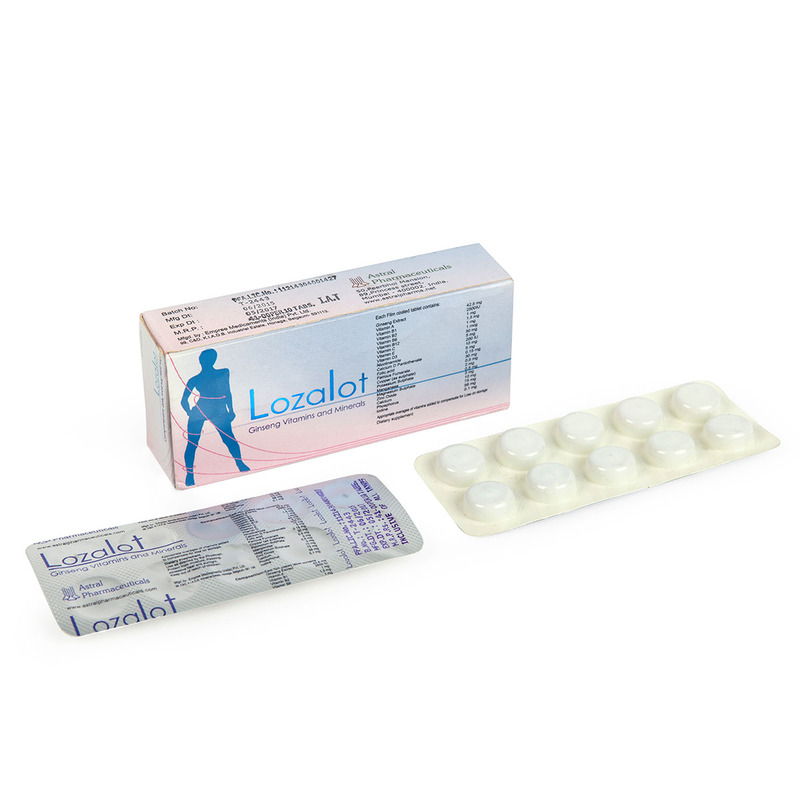 Generic Name: Multivitamins, Minerals, [Antioxidants] with Ginseng Tablets. 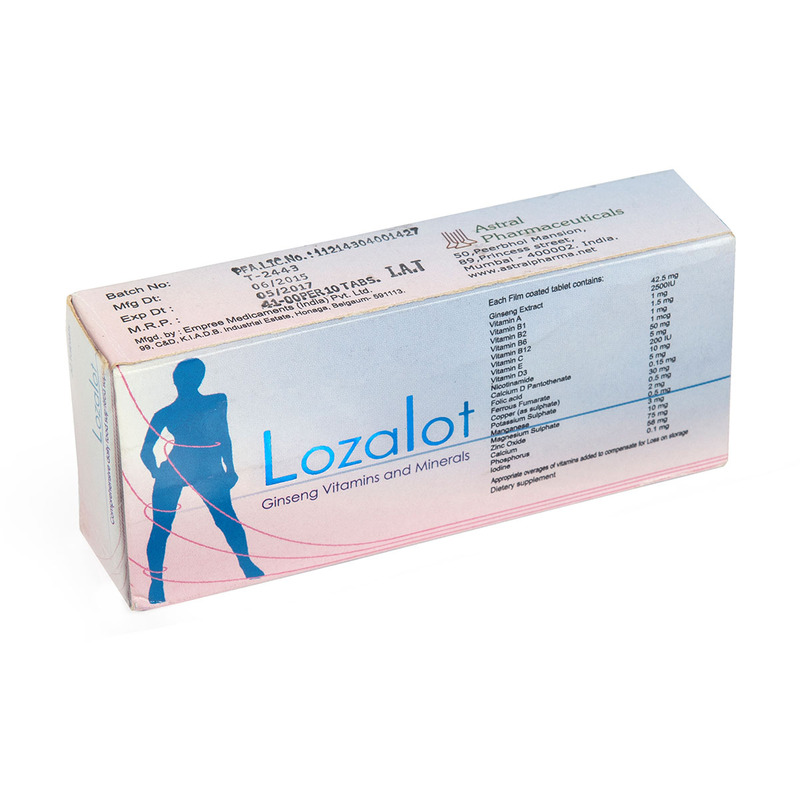 Vitamins, Minerals with Ginseng - Lozalot is a well-balanced combination of all to improve health and vitality. This product is developed in Sweden. 3 X 10 Blister Strips kept in a multicolor laminated box. A very nice latest combination of many different vitamins that are normally found in foods and other natural sources. Multivitamins are also used to treat vitamin deficiencies (lack of vitamins) caused by various illness. 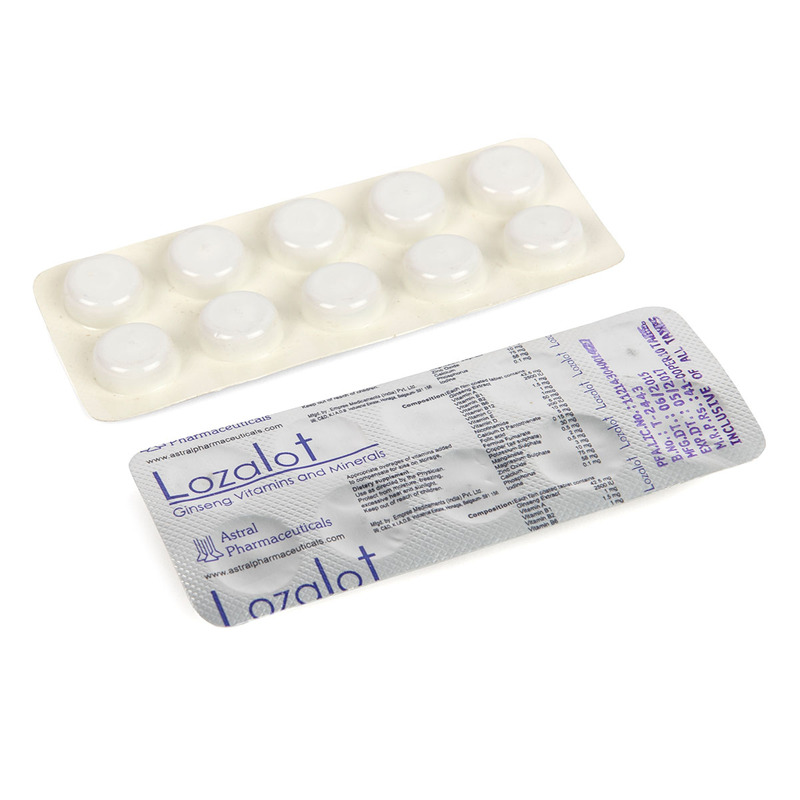 LOZALOT dosage of essential nutrients including vitamins A, B – complex, C, D, & E minerals with a nice herbal-Ginseng, cover the daily requirements of an individual.